Helooo Lovely Sweeties :3 ♥ I'm actually quite sleepy right now but I'm sure I can't sleep if I still haven done this post. I think this post should be done before this month and I actually delayed it until now because I really don't have enough time to blog about it last 3 months. Have to say sorry for some of my readers and you :'( But pls forgive me and I'm slowly get my motivation back!! So you guys should keep click for my adv and also enjoy reading my post ..K?! So today I'm gonna start with a word , CUSTOMIZE♥! Sometime I love the outfit for example like those dinner dress and sometime I dislike the color of the dress. But mostly online we can't really customize the color on our own or should I say the color fixed we can't change it to another color. Only available color for you to choose. HAVE YOU EVER THINK OF CUSTOMIZE YOUR OWN?!! Yes! I'm always hope too. So today I'm gonna featured a online boutique shop called Emcee Couture. I'm gonna share with you my shopping experience with them. Okie first of all I'm quite surprise seriously they have customize features on every pieces of their dress you see on their blog / website and facebook. 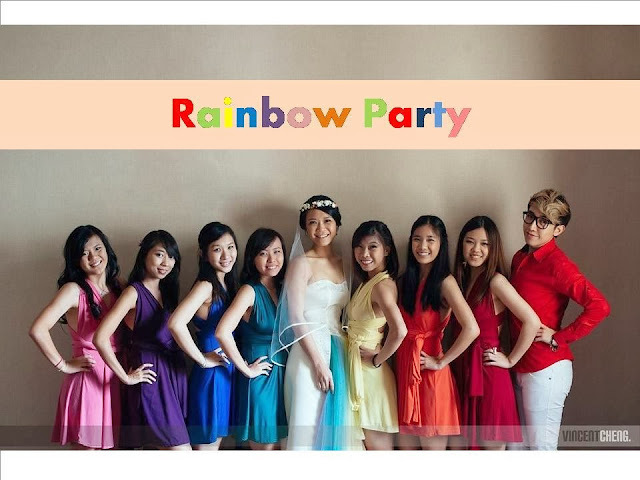 You can simply contact them and tell them which outfit you want and choose your own color. Then they will take sometime to proceed it and what you need to do is just WAIT FOR THE DRESS! yea!! Surprisingly, I'm loving it. I didn't expect I can be so satisfied with their service but it took me sometime to receive the items I ordered. I think good thing come for those who willing to wait♥ Am I right? I choose two outfits from them. Once is their best selling Convertible Dress & another matching outfit which I match a tutu skirt with a mint green bralet. I told you right most of the bralet I can't wear it because it's so loose and the material is those hard cotton which is not stretchable for me. So once I saw them have their own bralet I immediately ask them whether I can pick my own favorite color or not.. Emcee Couture answered me YES!!! OF COURSE♥! I'm super duper happy especially both of the outfits reached my doorstep. I can't wait to try out!!! So let me show you how it look like :P ARE YOU READY??!! Wah! Seriously NOT BAD LO!! I feel like collect all color for myself!! But I hope the bralet slightly longer at the bottom length. I want to customize one more because if you really spot my waist there slightly different from others. My bone appear slightly obvious on one side of my waist there. So most of the time I need to cover it until the bone part then my body only look nicer. Hmmm~~ maybe I should make another order with emcee couture again :P Somehow I hate that bone part..Because of that I don't have any waist -.- You can spot it obviously on the photo above.. :'( AAAAAAA how come my bone so obvious oneeeee!! Mad love with their convertible dress. They have long one & short one! I love the short one and feel like trying the long one!! Some more have more than 10 color to choose. They recently launch with Tiffany Blue color!! OMG I WANT IT BADLY! Oh yea, forgot to tell you any size you would like to order just simply contact them and if don't mind you can tell them your prefered size and weight/height so that you can get the correct size to match your body. I love how this convertible dress works. Imaging you have 4 wedding dinner / celebration need to attend every 2-3 months. I feel so tired of thinking which dress to wear on the celebration and especially that we need to purchase a brand new dress just to look different than the outfit we wear on previous celebration. It's so weird when you attending your diff friend's celebration + having the same dress / outfit during the celebration. I will broke if every celebration I need to purchase a new outfit and most of the time each dress we won't wear more than 2-3 time..Am I right?? So, here's a dress which can save your whole life!! I'm serious!! YES IT CAN!! This convertible dress can actually transform to more than 50 looks♥! CAN YOU BELIEVE IT? Yea♥♥! This dress can actually follow your mood and customize it by your own. I tried just now and I can simply create 5 look with only a dress! Who create this? So talent and saved MY LIFE!!! Let me show you how!! Sorry my back too skinny and look really ugly here. I gained weight on my chubby face but I'm not sure why my body became like this -.- look so skinny and scary. Maybe I'm too busy , stress recently and kind of worry my puppy :'( Hope Bebe♥stay healthy always! Thanks Emcee Couture for all the hard work. I'm totally impressed and I'm waiting for your official website which gonna be launching soooooon♥ For those who prefer to have more size , customization , color or any outfit you want to own a unit you can actually contact them. I believe they can turns everything nice on you. Mei Chi has a magic hand! So talent♥ !!! Oh yea!! Look at this lovely photo!! Your solution to 100 parties. Highly versatile, made to suit all body type, perfect party dress.The fuss-free bridesmaids dress.